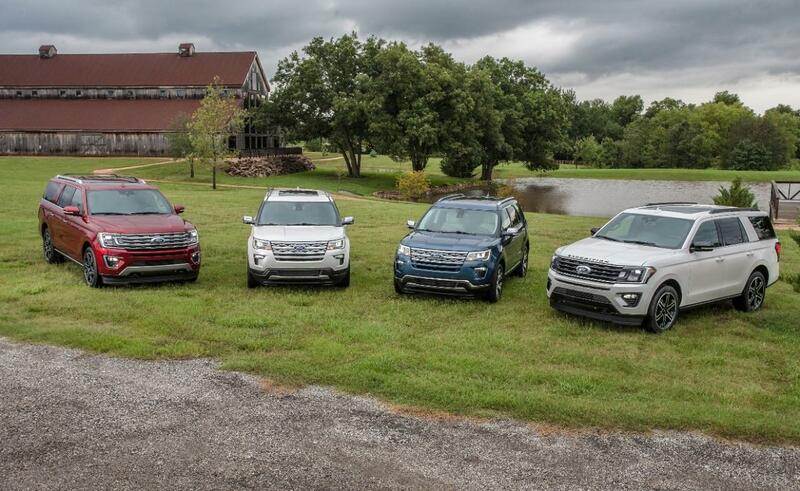 The country’s best-selling three-row SUV is getting even better this year. Partially credited with kicking off America's SUV obsession the 2019 Ford Explorer offers added beauty to its originality with enough power to help you play hard and get out there far beyond the roads more traveled, more towing capability and more safety features than ever before. Now wrapped in an eye-catching design, the all-new Ford Explorer boasts authentic comfort and style thanks to an exterior design that showcases a strong hint of style from the very popular Range Rover. The rear section is also reminiscent of a luxury yacht’s stern and has an appearance that is more upmarket than the mainstream world that it inhabits. The Sport version also comes with a blacked-out grille that some say looks much like a police vehicle, while the Limited and Platinum trims the best chrome package available. Also new for 2019 is an XLT Appearance Package called Desert Copper that includes 20-inch polished aluminum wheels, chrome mirror caps, Ebony Black door trim panels with unique inserts, first- and second-row Ebony Black leather-trimmed seats with unique inserts and third row Ebony Black vinyl seats with unique stitching. This seven-passenger family mobile also offers heated second-row seats as well as a very convenient power liftgate that makes loading groceries easier than ever in the 21-feet of cargo space. If you need more space, simply fold down the seats for more than 80 cubic-feet of space. Along with enhanced beauty, passenger and cargo space, the 2019 Ford Explorer also comes standard with the Ford Safe & Smart Package that does everything from alerting you to unintentional lane drifting as well as alerting you to a potential collision with a vehicle ahead. This package even includes rain-sensing wipers, adaptive cruise control with brake support and even a system that keeps you from drifting in and out of your lane. Are you ready to take a ride in what is sure to be another top-selling Ford model? Get to your local Southern California Ford Dealers today to take a ride that you will never forget. *Either the Class II or III Trailer Tow Package is needed for towing.